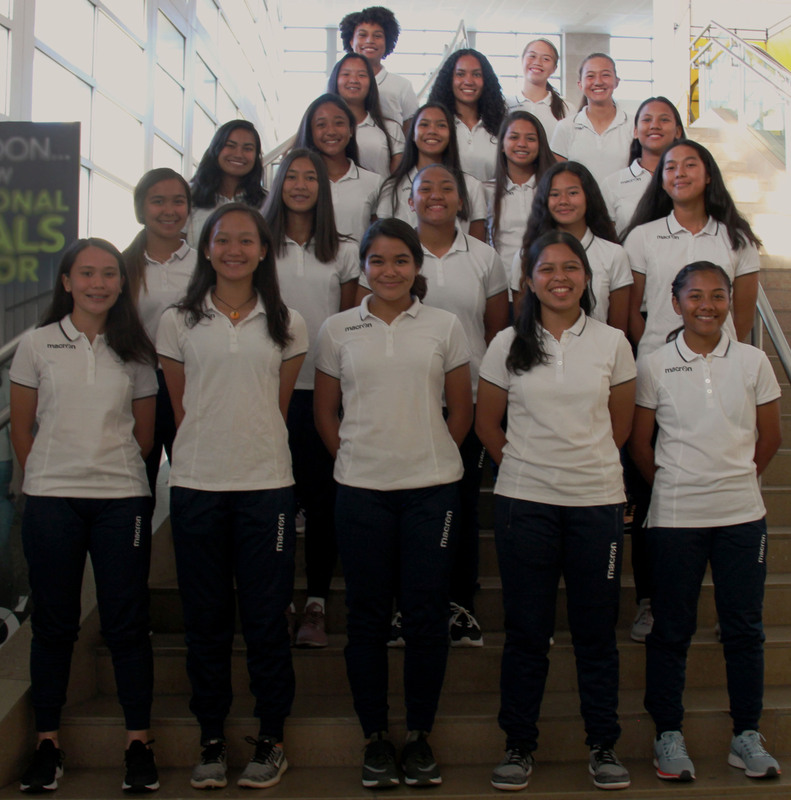 PRESS RELEASE – A mix of U15 and U17 girls’ national team players departed Guam Tuesday evening to compete in the upcoming Jockey Club Girls’ International Youth Invitational Football Tournament 2019 in Hong Kong. The upcoming girls’ tournament will serve primarily as a platform to further enforce training and conditioning regimens for Guam’s girls’ national teams for increased competitiveness in larger continental tournaments and women’s program sustainability. “First, I would like to thank the Hong Kong Football Association for inviting us to compete in the Jockey Club Girls’ International Youth Invitational Tournament,” said Maggie Phillips, the team’s Head Coach. “Our key objective for this particular tournament is to further instill our style of play whilst incorporating our younger players. We have worked with this particular age group for almost two years, and we’ve also decided to call up some of the oldest players in our U15 age group to help bridge our playing philosophy from one age group to the next. “By doing this, we are ensuring a brighter future for Guam’s female players and overall growth in the program. This tournament will be our launch point for where we go with training and conditioning over the next 18 months as we prepare for the next rounds of AFC and EAFF competitions. Our hope beyond this is to set these girls on the path to play in college and to prepare them to perform at the highest level seen in Guam yet,” Phillips added. Called up for the tournament are goalkeepers Kiarra Hutcherson and Haley Salas and field players Michala Connelley, Hannah Cruz, Candie Cura, Alina Gumataotao, Rylee Guzman, Jada Han, Olivia Leon Guerrero, Yasmeen Lopez, Kaia Malakooti, Lola Martin, Jadyn Palomares, Lauren Phillips, Minami Rabago, Richelle Ragadio, Shyann Roberto, Abigail San Gil, Jinae Teria, and Ysabella Vasquez. Traveling with Phillips on staff are Belinda Wilson as Assistant Coach and Analyst, Ross Awa as Goalkeeper Coach, Chima Mbakwem as Team and Equipment Manager, and physiotherapist Jessica Angelic Marie de Guzman. Guam will open against Laos on Mar. 28 at 4 p.m. Hong Kong time. The team next plays Northern Mariana Islands the following day also at 4 p.m. Hong Kong time. The team’s final match will be against hosts Hong Kong at 4 p.m. Mar. 31.